For quick fast service, call 303-697-8550! 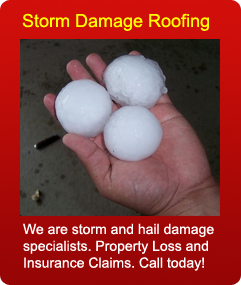 STORM DAMAGE AND CATASTROPHE EMERGENCY SERVICES! Frontier Roofing and Restoration is a locally owned and operated Colorado business. We are a Denver Roofer providing roofing repair, replacement, new roof, and re-roof services in Denver and the entire Front Range areas. In today’s economics, a company’s reputation is its most valued asset and we are proud of our reputation! Spending a lot of time and money looking for a outstanding Denver Roofer or Contractor? Frontier Restoration is a locally owned business who does not chase storms and is reliable for your roofing and construction needs all year long. Frontier Roofing and Restoration is a BBB Accredited Business with an A+ Rating. Frontier Roofing and Restoration is dedicated to sustainable roofing practices. We offer green / energy efficient roofing products. We also have taken the Owens Corning Preferred Contractor Recycling Pledge, and are members of Roofs 2 Roads Colorado – both asphalt shingle recycle and re-use programs.